You have searched for something specific on Google and you are waiting for the right result in the list of websites. You have found the best match and you click immediately. You give up and you go back to the last results. In a moment like this, the company loses a potential customer. The Internet giant Amazon has estimated that just one second extra loading time can mean losing $1.6 billion dollars in sales per year. The slower your website is, the fewer visitors you will receive. And fewer visitors means fewer sales, leads and customers. But you can change this! In this blog post, you can read about how to use the speed of your website as a competitive advantage. Website speed can become your Unique Selling Point (USP), which allows customers to shop on your website instead of choosing competitors’ websites. Let’s get to the case. Search engine optimisation (SEO) is good for your business because it brings you to the top when potential customers search on Google for your products or services. And how is it related to website speed? In October 2015, Google confirmed that it has an artificial intelligence algorithm called RankBrain, which is one of the key ranking factors 🧠. If your website is similar to RankBrain, you will more likely be shown in relevant search results. RankBrain considers among other things the user behavior of your website to see if your website is the right result to show. If Google RankBrain sees that visitors quickly leave your website because it’s slow, you’ll be downgraded in search results 👎. If visitors stay on your website, because it is fast, you will be ranked higher in the search results 👍. In addition, speed optimisation is good for Ads as it improves your Quality Score. Are you convinced that website speed is important? How can you ensure that your business website is fast enough? By testing your website’s speed, you can find out how fast it actually is. It’s a good idea to test on several of the tools to get the most true picture. And remember: In the tools, set the test location close to the country, your visitors come from. In Pingdom Tools, do it under “Test from”. After you have done a test in one of the tools, you will receive some technical suggestions for your website 🔧. When we at Beruf do speed optimisation for our customers, we offen see the same issues. Perhaps your business is affected by one of these issues. In that case you should fix it or get others to fix it for you. Are you ready to hear how? 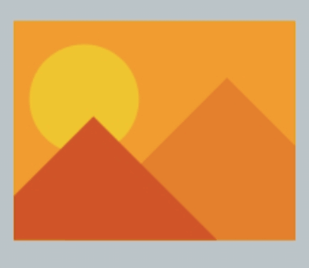 Images are essential because they make your website more interesting to the user. In fact, our brain treats pictures 60,000 times faster than text. Wow! The images on your website must be compressed (without losing quality). By compressing the images it will fill less and your website becomes faster. You can compress photos with Photoshop or other tools. If you are asked to calculate 2 x 10, you know that the answer is 20. You do not have to calculate it because you have already made this calculation countless times in your life. You just remember the answer. Websites are shown hundreds, thousands and sometimes millions of times a month. Normally every time a visitor accesses a website, the website server must make a series of complex (and time consuming) calculations. For example, the server must generate the website’s header, footer and sidebar, find the latest articles and blog posts, and so on. In many cases, the calculations give exactly the same result 📊🕜. Wouldn’t it be great if the server could remember all these calculations? That’s exactly what caching is about! With cache setups, your visitors will meet a cached version of your website, which will make the experience faster for your visitors as your server avoids any inaccurate calculations. Both are hugely effective as they make your website faster ⚡. They are more or less a requirement for modern websites. Have you ever tried to compress a file because it was too big to send with mail? It is the same technique with gzip compression – when it comes to files from a website. When a visitor accesses your website, your server must send the website’s files to the visitor. The larger these files are, the longer it takes. Gzip compresses your website files so your website gets significantly faster as files fill less ⚡. And don’t worry! This method will not have a negative effect on your website- It’s the other way around. Your website gets a fast performance. Gzip has a different setup depending on which server your website is located on. However, most people are located on an Apache server, but Gzip set up is by inserting a code into a file on the website. A slow server makes the files from your website delivered to the visitor after a very long time. It’s called Time To First Byte (TTFB) – it is the time it takes before the server sends the first piece of information to the visitor. If you can reduce your Time To First Byte you can make your website significantly faster ⚡. 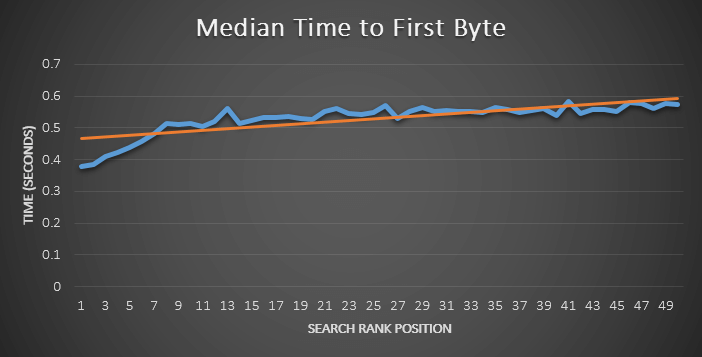 There is a clear correlation between a fast Time To First Byte and a website rank in Google according to a study. The reason why a server is mainly do to the lack of resources on the server of your hosting provider. For many providers, you’re sharing servers with hundreds, sometimes thousands other websites. When the other websites has more visitors, you will lose resources as your shared server has only a limited amount of resources. At Beruf, we often see that companies underestimate how critical the choice of the right server hosting is. Many companies choose the cheapest hosting provider and it has a negative impact on their Time To First Byte and hence website speed. In fact, we see that choosing the right website hosting, has the best effect when it comes to speed on websites. There is no doubt that the speed of your website plays a major role in how your digital marketing will perform. If you are serious about digital marketing, then you should ensure that your website loads quickly. This means that you can fix the technical optimizations on your website ⚙. It also means that you switch your website to a hosting provider that is fast-paced if you do not already have done that. 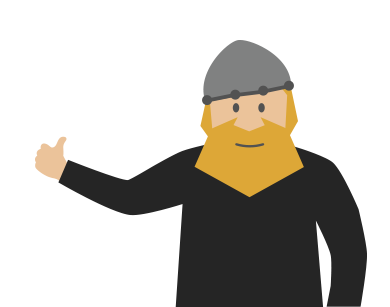 We recommend Skywalkr, which offers fast-running WordPress hosting.